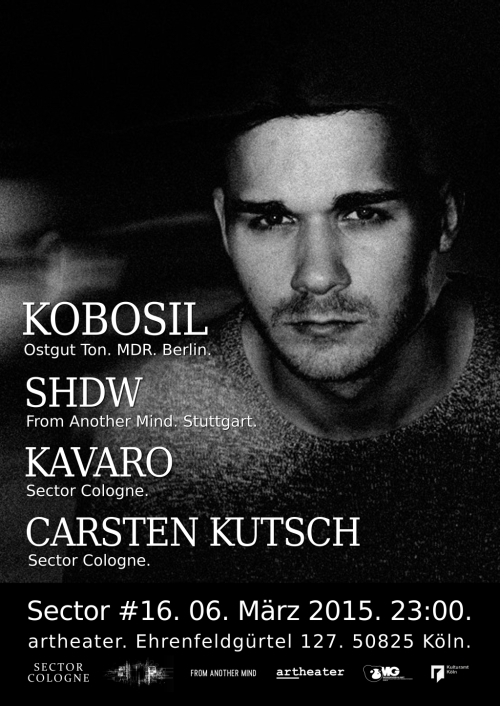 After the grandiose 2 year anniversary of Sector Cologne in february we continue our mission at march 6th with Berghain resident Kobosil from Ostgut Ton/Berlin, SHDW from From Another Mind/Stuttgart, Sector resident Kavaro and Carsten Kutsch from Cologne. You should not miss! 1st hour of Kavaro’s DJ Set.